Last year at Gen Con I happened upon a modest booth filled with a young team of people looking to get people to play test their game. Unlike most games at Gen Con their game was nearly devoid of color and to top it all off, used a cloth as a game board. 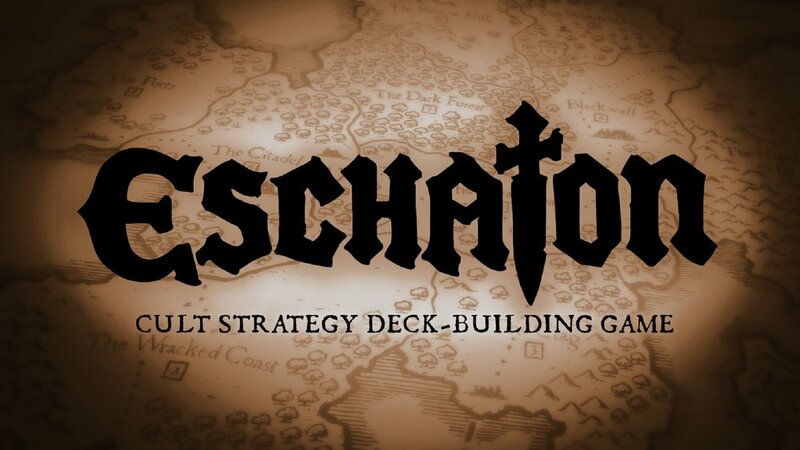 Still, the artwork was interesting and the hook of one of the workers talking about the goal of creating a cult to prepare for the apocalypse had me hooked and I sat down to play Eschaton. 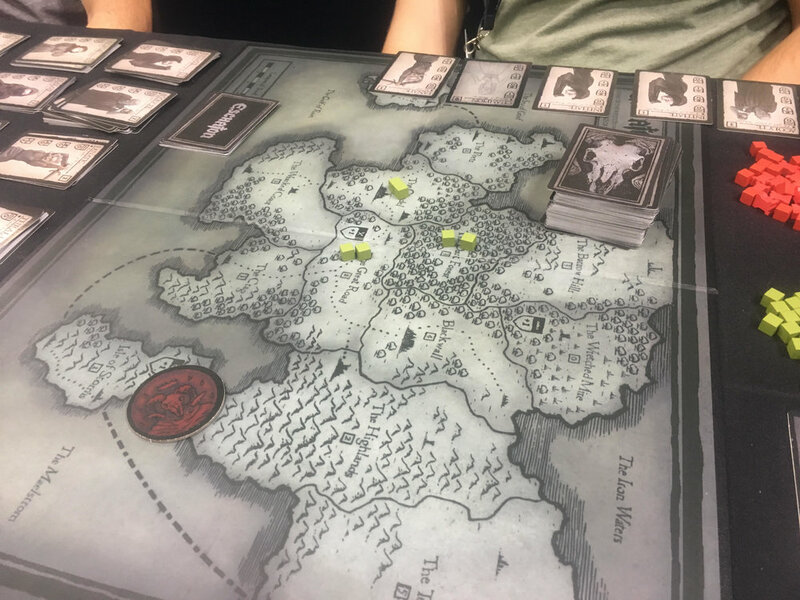 Long story short, I loved the game and likened it to Dominion tied in with elements of Risk and a must play for anyone who thinks that's even remotely cool because it's even more fun than you would imagine. 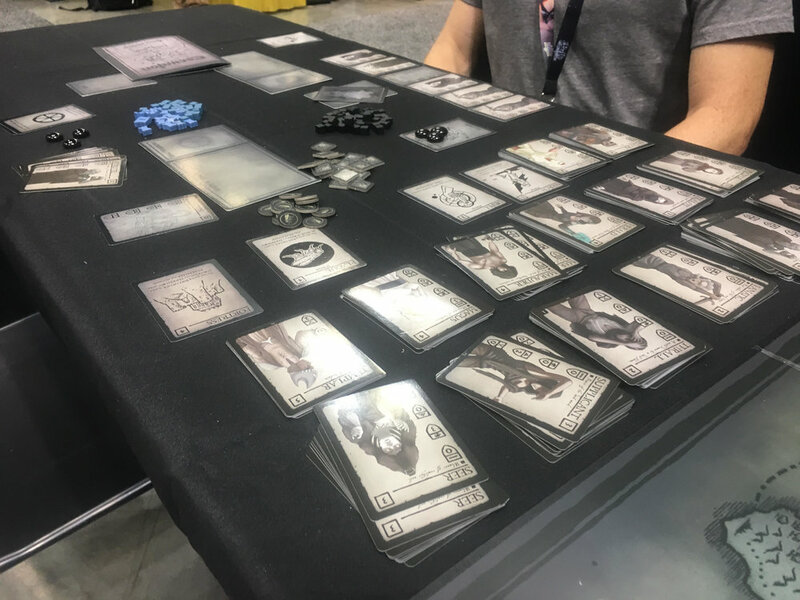 Fast forward to now where a year later, Archon Games is in the same spot at Gen Con 2017 and looking like a whole new company. Their Kickstarter, which netted $28,000, allowed them to polish up the aesthetics (although you still can get that cloth map), and have a ton of copies of their game ready for anyone looking to kiss up to the dark lord as the end draws near. It's amazing how Archon Games has transformed their game in just a short year. 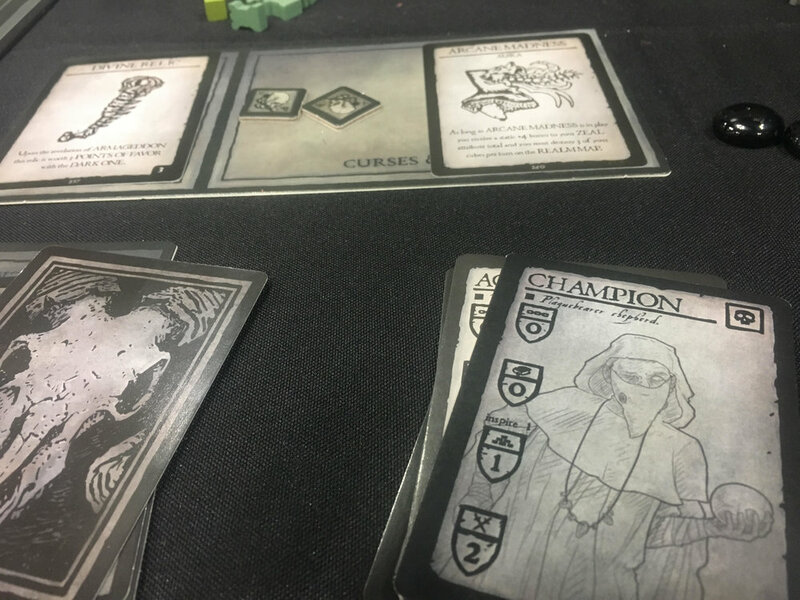 While more polished, the same dark medieval art-style still manages to shine and while I still maintain their base game has been one of my favorite Gen Con games to date, they're currently play testing an expansion that elevates this game even further. I don't want to get too deep into it as they've admitted they're still balancing some aspects, but I have to talk about "The Inquisitors," as they really elevate the game in a way I really love. Now, in addition to battling your friends for a foothold on the world as the end draws near, you have these rule bound inquisitors adding a little more challenge beyond what the other players will give you throughout the game. The expansion (which is now available to Kickstart) also includes forts in addition to many other abilities that take an already deep experience and further customize the way someone can play this game. 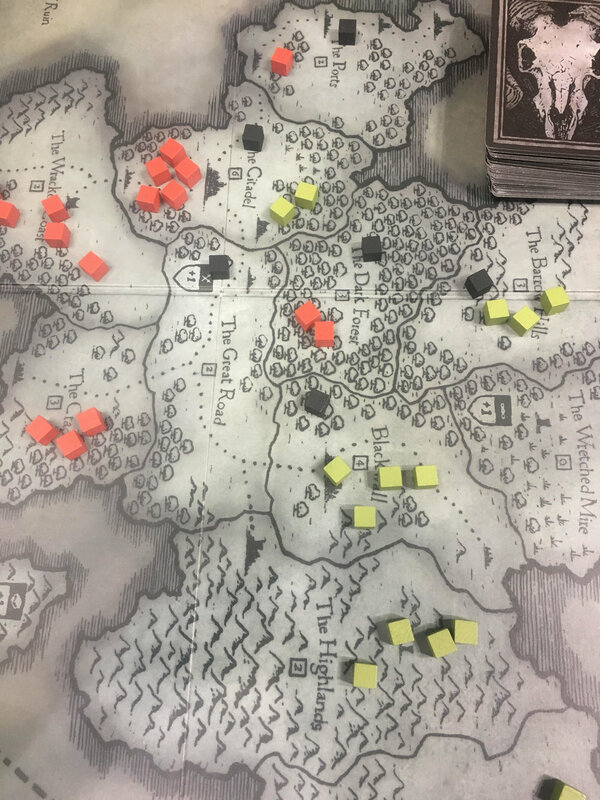 It may sound daunting to play a game that is one part Dominion and one part Risk...but I assure you after a round it becomes one of the deepest yet easy to pick up experiences tabletop has to offer...which is a huge plus when you have friends who know nothing about tabletop or this game. 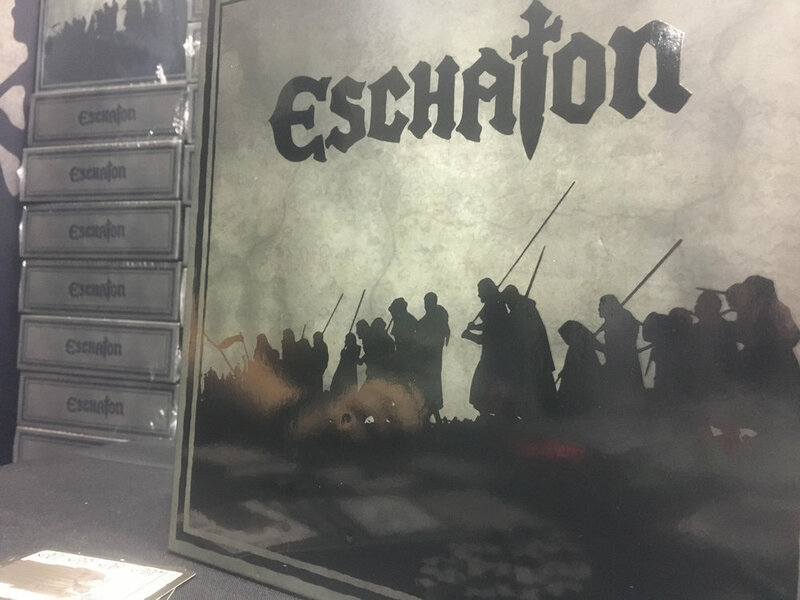 If you're at Gen Con this year...do yourself a favor and find Archon Games, play Eschaton, and get yourself a copy. These guys have transformed a great game in just one short year, and with a little effort and a couple more games, I think they have what it takes to be a major player in the tabletop world. Review - Mionix Castor Mouse with Longpad: French Fries Anyone?